The famous nickname of South Africa, ‘the Rainbow nation’, is well mirrored and savoured in the every-day-life of the second most populous area of the country after Johannesburg: Cape Town. The city is bustling with people, architecture and culture of different backgrounds and origins. The rainbow diversity, luckily for all of us, is also spread over the food scene. The Mother City, as locals lovingly call this busy port city, offers a true culinary jungle and the choices of where to eat, snack, drink or enjoy a sundowner are truly (often too) vast. The local cuisine has been, and still is, deeply influenced by the multi-cultural ancestry of the people living, cooking and eating here: Italian, Malay, Dutch, Zulu, Chinese, Japanese, Moroccan, French, Portuguese, Congolese, Greek, Brazilian, Thai and even Korean. The well-known Waterfront is a strong magnet for everyone looking for shopping, attractions and of course food. Countless restaurants and snack bars, from quick to chic and ultra-chic are lined up for all the curious visitors and tourists. As such, it is often noisy and very crowded. Perhaps because of its proximity to the harbour and ocean, I tend to best link this location with seafood! There are many places to enjoy the local catch of the day. 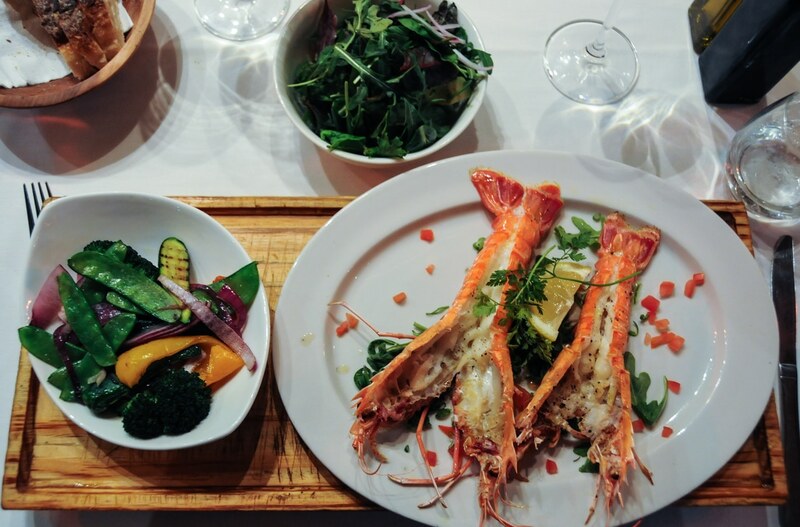 I enjoyed some of this excellent seafood twice: once a dinner of langoustines at the Harbour House restaurant and the second time a lobster and squid feast at Baia Seafood restaurant. Another more relaxed option is the V & A Food Court, located in the beautiful historical Pumphouse building of Nobel Square with a gorgeous view at Table Mountain. This is a two-floor paradise for food lovers. One may savour locally brewed beers and freshly pressed juices, buy ‘biltong’ (typical South African dried meat speciality) and local jams, enjoy good music or simply sniff around all 40 stands dedicated to food and drinks. However, if you want to experience the real feel of Cape Town, do not limit yourself to this popular (if touristic) part of the the local scene. Why? Because there are restaurants, bars and cafes sprinkled all around town! In the centre of Cape Town there are numerous hidden gems, like the Chef’s Warehouse. This canteen style, relaxed and cozy restaurant has a few walls decorated like a grocery store, and in fact the products are all for sale. 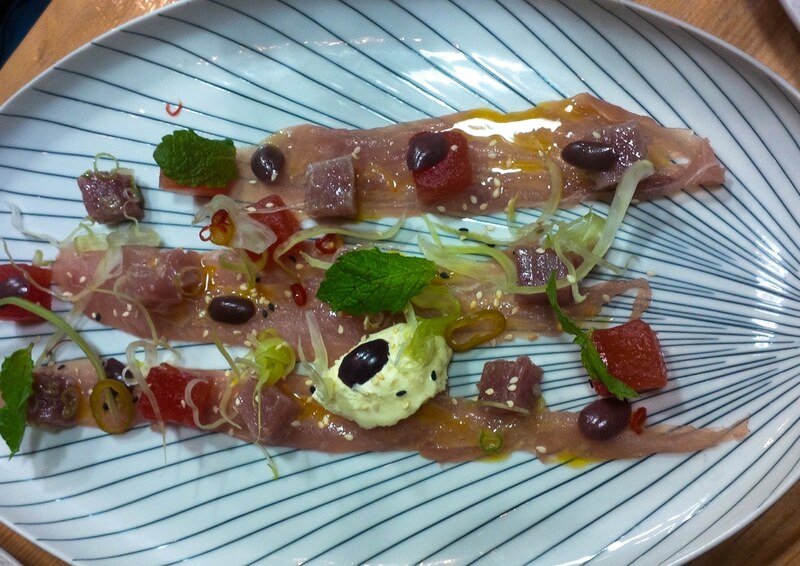 And even more importantly, their Tapas-for-2-menu-set changes daily and is simply to die for. 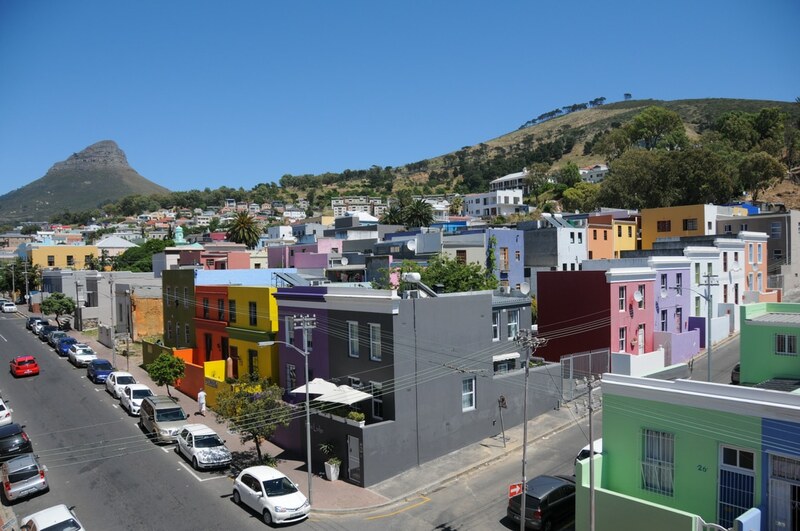 Because of the photogenic and colorful houses I was inclined to stay in the somewhat alternative Bo-Kaap area, and following another insider tip, I went to the fantastic chocolate cafe Honest at 64A Wale Street. This raw and organic chocolate spot serves a mind-blowing iced chocolate to beat the local heat waves using the finest raw (unroasted), organic Ecuadorian cacao. 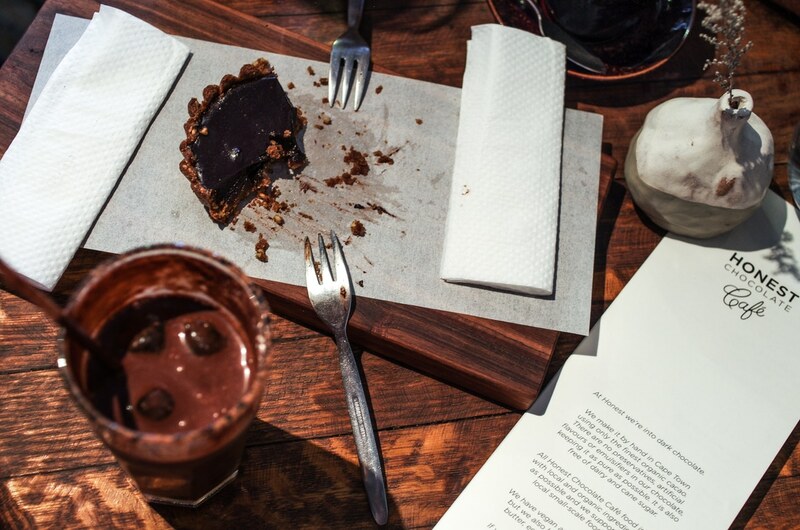 Make sure you come with bit of space in your tummy, as the chocolate tarts and other desserts look (and taste) too tempting to resist. By the way, in the back of their garden there is a hidden gin bar! So once you are in Cape Town, simply put on your (most) comfortable shoes and enjoy the walk, food and colours at the Waterfront and in the city. Ask and collect tips from locals on when and where to walk or to drive, or where not to walk when dark, because they know the city best. And last but not least, Cape Town is not only the city but also all the fabulous area surrounding – don’t miss the Cape Peninsula!